If you haven't had it happen to you at least once, consider yourself lucky. You're standing there at the stove, melting some of those little blocks of chocolate that come in boxes. You anticipate with glee those chocolate-dipped strawberries that will be tonight's dinner finale. You look up to check the time or talk to the kids, and when you look back at the stove, your chocolate is not becoming silky smooth, but gloppy and weird. And to add insult to (culinary) injury, the more you heat and stir, the lumpier it gets. Your chocolate has seized. The good news is that you can still use that chocolate mess in other recipes if you haven't scorched it. The bad news is that you won't be having chocolate dipped strawberries tonight. 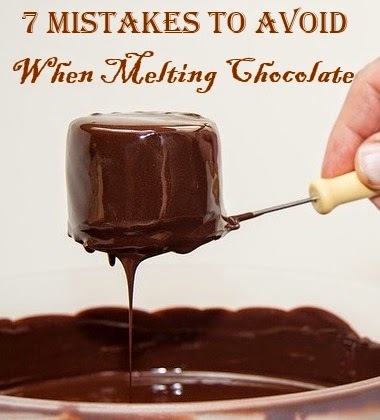 Read on to discover the seven most common ways to ruin chocolate when melting it and what you can do to avoid disaster. Letting water make contact with the chocolate - A block of chocolate doesn't look like it, but it has no water in it at all. It's made of small, dry particles of cocoa and sugar and of cocoa butter. A drop of water that gets into the melting chocolate causes the particles to clump up around the water. This is seizing. You can avoid this by keeping any moisture away from the chocolate. If you melt your chocolate in a double boiler, don't use too much water in the bottom and do not let the water boil. Overheating. If the heat is too high, the chocolate will scorch before it's all melted. While this is technically not seizing, scorched chocolate forms little clumps of its own. There is nothing you can do with scorched chocolate, except maybe use it as a face mask or something. Don't eat it. The double boiler is a life saver here (although still not totally foolproof). Again, let the water simmer, not boil. 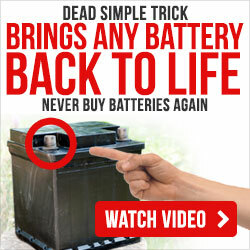 You can also melt chocolate in the oven if you have extra time. Set the oven to its lowest temperature and check the chocolate every few minutes and stir it. Keep in mind, chocolate shouldn't get hotter than about 115 degrees F. when melting. This is just warm, not hot. The microwave oven works quite well if you set it on 50% power, check your chocolate and stir after 1 minute, then nuke and stir every 15-20 seconds until it is almost melted. Stir without heating, and let the residual heat melt the chocolate completely. Trying to melt a big chunk of chocolate - not only will you still be standing there at the stove until sometime tomorrow trying to melt it, you'll have scorched it long before the whole chunk is melted. Chop up the chocolate, please. Try to chop it into fairly uniform pieces. Think chocolate chips for dark chocolate, finer for milk or white chocolate, as they tend to burn more easily. This applies no matter what method you use. Trying to melt it directly in a pot on the stove - Much too hot, too fast. You know that the chocolate touching the bottom of the pan is going to get way over 115 degrees. Don't do it. Neglecting it - Melting chocolate needs attention; it needs love. It needs to be stirred frequently to distribute the heat evenly. Putting a lid on the melting chocolate - Okay, I've seen this recommended before, but the problem here is that any moisture caught in the pan will condense on the lid and drip down into the chocolate. And you know what happens then, right? Trying to make it melt faster - Patience is a virtue. You can't hurry the process. You're just asking for trouble. Use low heat and take your time. Use low heat, take your time, keep it dry, and stir, stir, stir. You're working with chocolate here. Breathe in that rich aroma. Marvel at the silkiness of the melted chocolate. Anticipate the delight of the final product. Hey, don't get too lost in your senses. You have to keep stirring. Good luck.